Every year, it’s a new puzzle. Eleven or so weeks of summer stretch out enticingly, with the promise of fair weather and free time for the kids. The only catch: The adults of the family need to work during those precious warm months. So starts the business of matching kids to camps. Sometimes it is easy: There’s a neighborhood place that your kids love. And sometimes it’s a complex mathematical and psychological challenge, involving spreadsheets, long email chains with friends and extensive research. Here are time-tested ideas for how to cope with common camp dilemmas. Camp is expensive. Finding a way to cover the many weeks of summer, feed kids’ interests and still have money left for, say, a family vacation is a serious challenge. Many camps offer financial aid to deserving families, so be sure to ask and apply — the earlier, the better. Many also offer discounts if you sign up early. And here are some relatively inexpensive camp options for those hoping to stretch their budgets. 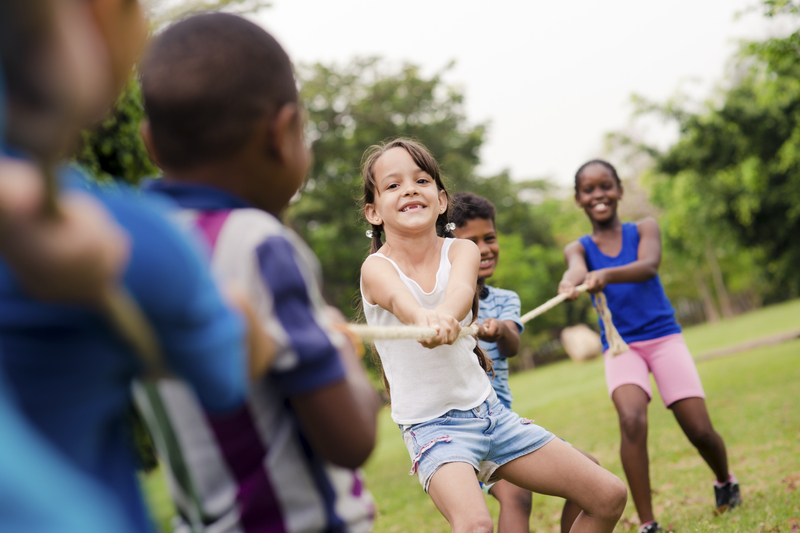 General camps: Options such as Boys and Girls Club camps, YMCA camps, and camps at schools and community centers around the region are among the most affordable and offer the broadest coverage for working parents. But sign up early; they often fill up quickly. Sports: Skyhawks sports camps serve kids ages 4–12 with affordable programs covering a variety of sports and lasting as long as six hours a day. The camps take place in parks or community centers around the Sound. Music: Some of the best deals in town can be found at public schools or community centers. For example, Seattle Public Schools offers an affordable three-week summer music program that gives kids a half-day of instruction in band, orchestra and jazz band ensembles (fees for three weeks were only $300 in 2015). Other districts offer similar programs, sometimes at even less cost: Highline’s half-day summer band camp was $100 for three weeks last summer. Metro Parks Tacoma also runs several affordable music camps as part of its summer programs. Tech: Coding and tech camps are famously pricey, but Apple Stores offer free three-day workshops for kids ages 8–12 on topics ranging from moviemaking to iBooks. (Note: The workshops only run an hour and a half each day.) Sign up now to be notified when registration opens. Microsoft stores also run free workshops through its YouthSpark program. Also, parents who work from home should check out the growing number of online camps, which are often free. Performing arts: Kids spend three weeks putting on a musical while exploring the visual arts, music, dance and drama at Seattle’s Summer Fun Camp, which offers two sessions each summer in several locations. Last year, tuition was $720 for the three weeks. Camps at Littlest Performers in north Seattle are popular, award-winning and relatively low cost ($225 for a week of full-day camp). Horses: Many parents feel priced out of horse camps, but Camp Berachah is a different story: This evangelical Christian center in Auburn has magnificent equestrian facilities, and it runs a variety of summer programs at low cost (starting at $224 a week in 2015). Other relatively affordable equestrian camp options include Girl Scouts of Western Washington horse camps and Farrel McWhirter Riding School camps in Redmond. Your schedule only has so much flexibility, so you need to find camps and locations that provide lots of coverage and many options. Chen Zhou, who lives in Seattle’s Wedgwood neighborhood, knows that problem well. Both she and her husband work full time, so her daughters, a third-grader and sixth-grader, need a place where they can stay all day. Their program of choice: the Seattle Parks & Recreation camps that run out of Wedgwood Elementary School, which provide coverage from 7 a.m. until 6 p.m. Associated with schools’ after-school programs, these school-age camps are offered around the city and are affordable and popular. Sign up as early as possible (registration starts on Feb. 2). If you only need coverage for a single day or part of a week, then keep a list of popular camps that offer single-day options. Steve and Kate’s Camp, an ultraflexible, kid-centered camp for kids ages 4 through grade 7 (with locations in Seattle and Bellevue), allows parents to purchase day passes to use as needed. Arena Sports, with locations in Redmond and northeast Seattle, also lets parents sign their kids up for a day at a time, as does Orlov Chess Academy, which serves Seattle and Redmond. Parents of younger kids might check out Discovery Days camps at The Children’s Museum, for kids ages 4–10, at Seattle Center, with single-day options (both full and half-day) around supercool themes. You need to find last-minute camp spots for your kids — fast! This happened to me. One year, I planned a largely camp-free summer for our two kids only to land a big, time-consuming work project in June. We needed to find camp coverage at a time when many of the most popular camps had filled up. My tips? First, stay optimistic: Sometimes even camps you’d expect to be full have room. I once signed my son up for an archaeology camp at the Burke Museum three days before the start date. And even if your favorite camps are full, there may be similar ones with openings. For example, Sounders soccer camps often fill up, but other soccer camps, such as Peter Fewing and UK Elite, may have spaces. Some of the big camp providers, such as Woodland Park Zoo, Pacific Science Center and Arena Sports, will often have spaces (sometimes due to cancellations) throughout the summer. Some types of camps fill up faster than others. Coding camps tend to fill up by April, but I’ve found that chess camps usually have spots up until the last minute. Up through fifth grade, my son was easy to find camps for — just scout out a soccer camp. He enjoyed all of them, from “Total Exhaustion Camp” (his name for Sounders camp) to “Relentless Enthusiasm Camp” (Peter Fewing). But when the summer after sixth grade rolled around, he was done. He didn’t want to be one of the oldest kids in camp. Luckily, there are a number of camps just for middle schoolers and older. We ended up choosing NOAA science camp, which teaches incoming sixth-, seventh- and eighth-graders about marine science; Cascade Summer Sounds, a Lynnwood-based orchestra program for intermediate and advanced students; and his favorite, Team Ultimate Camp, an ultimate-Frisbee camp specifically for middle and high schoolers. When planning camps for her older son, now an eighth-grader, Debra Carnegie consulted him early, did research and always matched him with a friend going to the same camp. Two of her finds: a film camp at Coyote Central, a Seattle-based art school that offers a wide range of camps and classes specifically for middle schoolers; and Blue Ribbon Cooking School, which offers cooking programs specifically for teens. Some kids are fine doing activities with a room full of strangers, taking direction from unfamiliar adults and settling in with a group. Not your child. Maybe she’s shy, or impulsive, or can’t handle the transition to a new camp week after week. This is perhaps the toughest challenge of all. One strategy is to minimize the number of camps your child attends and to sign them up with friends. Some providers offer multiweek camps, which help kids feel comfortable and develop a community. Examples include Summer Fun’s multiweek art and drama program or multiweek musical theater programs offered by providers such as Tacoma Musical Playhouse. In the tech realm, an intriguing new option is a two-week mobile app development camp run by Pacific Science Center and DigiPen. Another strategy is to find camps that are small and nurturing by nature. Examples include small, craft and performing arts camps offered by organizations such as Made Sewing Studio in Greenwood, Flourish Dance Project in West Seattle and The Moonpaper Tent in Seattle’s Maple Leaf. If your child’s camp issues are related to special needs, The Center for Children with Special Needs at Seattle Children’s Hospital maintains a database of camps suitable for kids with particular health issues, including autism spectrum disorder, Asperger’s, ADHD, behavioral disorders and physical disabilities. Find it online as of March 1.